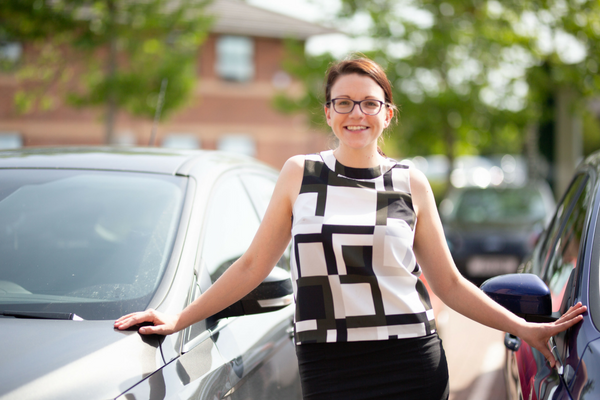 Jenny spent several years managing branch operations with The Cumberland, before undertaking a new challenge by moving into the B2B world as Borderway Finance’s Corporate Account Manager. She’s learnt a lot about the county’s business community, from the rich diversity of businesses in Cumbria, to the best networking events. Here’s five things she’s discovered since joining Borderway. It’s inspiring to see how many Cumbrian businesses are working both nationally and internationally, you only have to look through this magazine to see that. We’ve got such a wide range of businesses in Cumbria, from the energy coast, to tourism in the Lake District, manufacturing in South Cumbria and the exciting developments for the future such as the Borderlands project. It makes my job interesting, unpredictable, and enjoyable, to say the least. I’ve thoroughly enjoyed networking and getting to meet a wide variety of people across the region. Everywhere you go, everyone is so welcoming and you meet people who have such a diverse set of skills. Every event I have been to has had a different theme which makes them fun and interesting. This one’s a bit more specific to vehicle finance - many people don’t know that wherever you buy from, you’re free to choose your own lender. You can also tailor your loan to a specific term which fits with your budget or how often you change your vehicles. For example we have provided customers with loans over 32 months rather than 3 years. Don’t just get hung up on the APR figure. Cumbrian business owners are hard working and as a result are often left short of time. I love getting out to meet customers, getting to understand them and their business. I’ve been to so many different types of businesses throughout our area and I have really enjoyed being able to help them. I’ve noticed that having someone who can be contacted easily has come around full circle again and is very appealing to businesses throughout our area. Successful businesses are built on strong relationships and being able to manage these is exciting and rewarding for me. Borderway Finance is Cumbria’s largest vehicle finance company and as we have been part of the fabric of our region’s motoring community for over 20 years. There’s not much we don’t know about vehicle finance. We’re part of The Cumberland Group, one of the regions most trusted and respected organisations and provide vehicle finance and personal loans not only in Cumbria, but throughout South West Scotland, the Scottish Borders, North Yorkshire and North Lancashire. We’ve helped thousands of customers and work closely with many of our regions motor dealerships. As well as personal vehicle finance we also specialise in business vehicle finance, so whether you’ve got a quad bike or a whole fleet of vehicles you’ll get the same high level of service from us. We don’t rely on a computer to make a decision about your application. Instead, we combine years of experience with modern technology to provide a personal, friendly and professional service. Speak to Jenny or the Borderway team by calling 01228 595939.